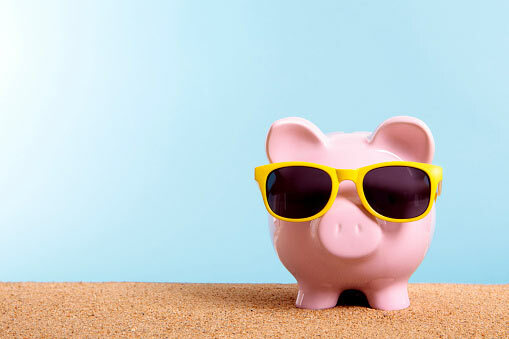 Want to Save 40 Percent on Energy This Summer? Are your energy bills higher than you would prefer? If you are like most homeowners or business owners, you can expect up to half of your annual energy costs (an estimated $2,200 for the average homeowner) to go to heating and cooling your space. This amount increases if you have an older (more than 10 years old) HVAC unit. In this case, after the initial purchase, you stand to save up to 20 percent on energy efficiency from choosing a new Energy Star-certified HVAC unit. The other way your energy bills will decrease is if you perform HVAC inspections and preventative maintenance regularly. In this post, learn how to reduce your annual energy bill by as much as 40 percent just by performing some common HVAC maintenance repairs. How Much Can Each HVAC Maintenance Service Save You in Energy Costs? While the following percentages are just estimates and can vary depending on the type and age of your HVAC unit, the size of your space, and the nature of your specific maintenance issues, this can give you a good idea of what you might save on your monthly energy bills when your HVAC system is well-maintained and in perfect working order. In high-use months, it is typically recommended that you change your air filter (or clean and replace a reusable air filter) at least once every 30 days. This simple and inexpensive maintenance task can save you up to 15 percent on energy bills. As its name suggests, the compressor’s job is to maximize airflow through the HVAC unit. You can save up to 3 percent on energy costs for each tiny leak you seal—and those tiny leaks can add up fast. You can save up to 20 percent just by sealing up leaking air ducts. In the same way, the stronger the overall airflow through your HVAC unit, the less energy your unit will have to burn to do its job. An HVAC professional can determine whether your unit is delivering airflow strength commensurate with other comparable units. By boosting airflow, you can save up to 10 percent on energy costs. The condenser is the part of the HVAC unit that transforms the refrigerant to heat or cool the air as desired. Condenser clogs are fairly common in HVAC units that are not routinely maintained. Clogs can occur because valves become damaged or closed off, or sediment and debris gets into the coils. Just by cleaning and unclogging the condenser, you can save up to 20 percent on energy costs. The chiller tube is a common component of commercial and industrial HVAC systems. Mineral and scale buildup, bio-matter growth, and corrosion are three key reasons why the inside of the chiller tube can become dirty and damaged. Just by cleaning out the tube(s), you can realize energy savings of 15 percent. The harder your HVAC unit has to work to draw refrigerant up into the chiller and condenser areas, the more energy it will draw to deliver temperature-controlled air. As well, if the refrigerant gets contaminated by outside matter (dirt, debris, dust, oil, etc. ), this can reduce its ability to cool or heat the air properly. You can save up to 20 percent on energy costs by topping off and/or cleaning or replacing the refrigerant. The thermostat works with the fan and the HVAC unit to deliver temperature-controlled air to a space. If the thermostat is not calibrated accurately, you could be burning as much as 40 percent of unnecessary energy to keep your home or workplace cool. If you don’t currently have (or use) a programmable thermostat, simply installing one can trim up to 15 percent off your energy costs. Just by adjusting your thermostat up 1 or 2 degrees, especially when no one is at home or it is late at night and the heat of the day has burned away, you can save up to 3 percent on energy. Whether you move the unit itself into a shady area or install a shade cover over the unit, a shaded AC unit will have to work less hard to keep the air cool in summer. This can save you up to 10 percent on your monthly energy bills. For residential ductless mini-split and commercial/industrial HVAC systems in particular, sensor failure can result in a tremendous amount of expensive wasted energy. Just by checking that the sensors in each zone are operational and calibrated, you could save substantially on your monthly energy costs. Yes, the temperatures are beginning to creep upwards, but there is still time to take a preventative approach to HVAC maintenance and repairs. Just by scheduling your HVAC unit’s annual inspection, you can ensure your unit is clean and well-maintained, with proper lubrication and clean refrigerant. If any connections, wires, or parts are worn, they can be repaired or replaced. A simple thermostat and sensor test and calibration can save you hundreds on summer energy bills. Even better, a clean HVAC unit with clear air ducts and fresh filters will keep the allergies and respiratory issues away all summer long. 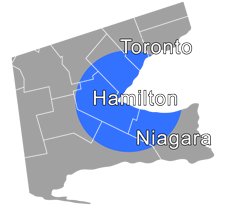 Contact Shipton’s Heating & Cooling, Ltd., a proud member of the Hamilton and surrounding communities for nearly a century. You can connect with us by phone at 905-549-4616 or contact us online.